What does it cost to take Hunter Education? Traditional courses: Instructors may charge $5 per student to cover the use of facilities and minor expenses. Online course: Each student must pay a $29 fee to take the New Hampshire Field Day Qualifier Exam. To receive a certificate of completion in a traditional hunter or trapper education course, you must be at least 12 years old by the completion of the course. To take the online hunter education course, students must be at least 15 years of age, or older. 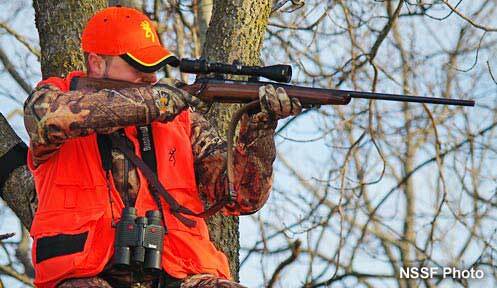 Youth hunters should try to complete a hunter education course sometime between the age of 12 and their 16th birthday. What will I learn in Hunter Education? (3) A live-firing experience using .22 caliber rimfire rifles, laser rifles, or air rifles shall be included in addition to the required hours of instruction, except as provided in Fis 1201.05(h). What if I need to cancel out of a class? Opt to cancel out of the course. Lost your card or need to print a duplicate? If you completed hunter education prior to June 1, 2016 contact the hunter education office at (603) 271-3212. Find the hunter education course in which you were enrolled; there will be a print certificate button. How do I contact the Hunter Education office? The Hunter Education office is housed at 11 Hazen Drive, Concord, NH, in Building #2. As you enter the parking lot at Fish and Game headquarters, at the STOP sign, turn right into the small parking lot. The office door is the first on the right; look for the Hunter Education and Aquatic Education sign. The phone number is (603) 271-3214. If I have a felony conviction can I take a hunter education course? Pursuant to RSA 159:3 and RSA 625:11,V: Anyone convicted of a felony is not eligible to attend a Hunter Education Course. This includes the traditional class, online Field days, and any workshops where firearms, archery equipment or knives are utilized for educational purposes. This does not include Trapper Education.